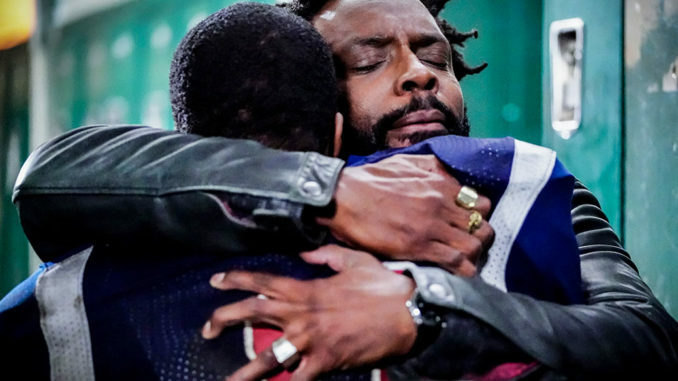 All American RECAP: Episode 16 "Championsships"
Season one of All American ended with a bang. Now, we have to wait for the reveal of Dillon’s father. Will it be Cory or Baker? Grace has some explaining to do. 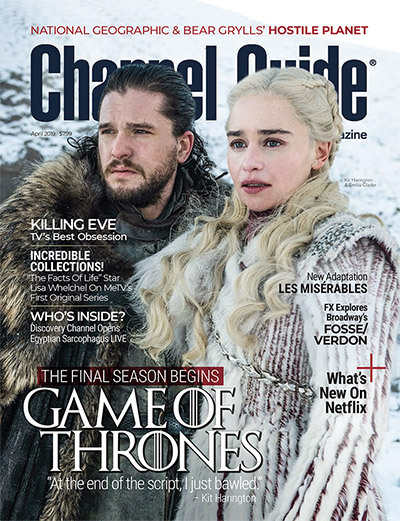 I’m not making any predictions, and any word on a season two won’t be available until May. Until then, we’ll be waiting and binge-watching season one on Netflix starting March 31. In this episode, the Beverly Hills Eagles have made it to the state championships but their opponent is no other than South Crenshaw, Spencer’s previous football team. As usual, Spencer has a hard time compartmentalizing his personal emotions and he feels like he betrayed his old neighborhood. He even shows up to South Crenshaw’s pep rally to congratulate them – or is it to ask for forgiveness? Spencer’s childhood friend and former teammate Chris and newcomer Cam don’t welcome Spencer, which eventually leads to an altercation. The tension gets the best of Spencer and he nearly paralyzes Chris with a hit at the waistline during the game. When everything seems to be going downhill, Cory comes to Spencer’s rescue. Cory’s absence has caused Spencer to live with the pain of abandonment pain for the past eight years. When Cory finally tells Spencer to just have fun and be a kid again, it releases years of pent-up anger. Cory gives Spencer’s childhood-self permission to let go of his pain. Spencer’s voice cracks when he finally calls Cory “Dad.” It is an uplifting moment and definitely the embrace Spencer longed for. Now, I’m concerned that Spencer and Cory’s relationship will turn into a Jordan and Baker saga since Cory took a coaching job with South Crenshaw and asked Spencer to play for him. In last week’s episode, Baker confessed his affair with Grace to Laura, Olivia and Jordan. They’re still mad at him because they feel betrayed. Laura and Jordan try to avoid Baker. Olivia spends most of her time comforting Asher while he deals with his father’s drinking problem – I can sense a love connection sprouting. It’s pretty clear that Baker is the odd man out so he decides to resign from his coaching job after the Eagles win the state championship. Shockingly he moves in with Willie! Of all people! Well, as he said, he had to go back to the beginning to figure out when and why he turned cold. I mean Baker did whatever he could to help his family and he had to make some daring decisions — like swapping Jordan’s urine sample – even though Jordan still got disqualified from the state championship game. Coop successfully had Tyrone arrested. She outsmarted Tyrone at his own game by using his closest ally, Malik, as bait. Tyrone distanced himself from Coop to make her believe that he was stepping down to avoid being killed. Everyone in his gang knew that he had Shawn killed, so they supported Coop to get revenge. Coop isn’t the type to kill someone – everyone knows that, too – so she used Laura to set up Tyrone. Since Coop has partnered with the Police Department, I think it will be difficult for her to keep loyal gang mates. Her association with the police will restrict many of the gang’s activities. Another shocker during the finale was Layla’s meltdown. All of her suppressed emotions came to a boil. Her dad replaced all of the stolen goods in the house but didn’t even make an effort to check on Layla. I guess that’s why he called her during the dinner scene of last week’s episode. A call isn’t enough! He should’ve been running to her side! Layla is fed up and Spencer can sense it but she won’t open up about her feelings. She’s not used to someone caring about her so it feels weird. 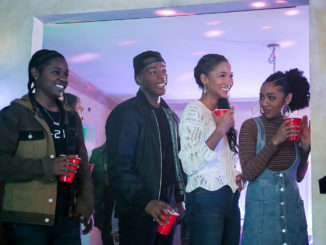 Olivia dumped her at Crenshaw’s pep rally – is she still Chris’s girlfriend because they’re always separated? Olivia felt guilty so she visits Layla’s house and walks into the aftermath of her blow up. She finds Layla sobbing as she throws her dad’s records into the pool. All Olivia could do was comfort Layla. If a season two gets greenlit, everyone’s original storylines will be flipped, I assume. Laura will have to experience being a single mother either going through divorce or learning to forgive and rebuild trust. The James’ will get the family they always wanted, but can Cory live up to their expectations and how will he react when Grace reveals the truth about who Dillon’s father is? Baker will have to learn how to co-exist with Willie while he reflects on his past? Jordan and Olivia will have to adjust to not having Baker around. Coop will have to reconnect with her family when she moves back home. I think season two should happen because this show has thought-provoking content. Do you want to see a second season? The season one finale of All American aired on The CW March 20. The entire season will be available on Netflix beginning March 31. 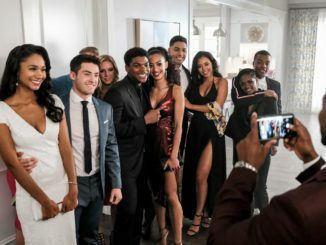 ‘All American’ Episode 7 RECAP: Ready for some ‘California Love’? 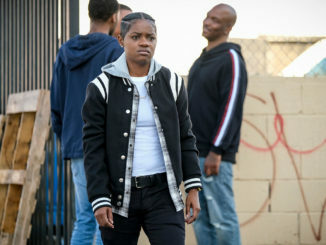 December 7, 2018 Nicole Baxter Recap, TV News & Program Updates Comments Off on ‘All American’ Episode 7 RECAP: Ready for some ‘California Love’?